In a statement released today, the DSB said it has (in accordance with ICAO Annex 13) given each participating State sixty days to submit comments on the report. The DSB will review these comments before delivering its Final Report and recommendations in the first half of October 2015. 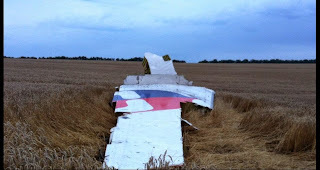 The Dutch Safety Board is investigating the crash of flight MH17, which happened on Thursday, 17 July 2014, in the Donetsk area (Ukraine). The Board is making every effort to give as clear a picture as possible of the cause of the crash. With 17 July 2015 coming up soon, a year after the crash, the Dutch Safety Board is reporting on the progress of the investigation in accordance with Article 6.6 of Annex 13 to the convention on International Civil Aviation. The investigation is being carried out on the basis of the standards and recommended practices as described in the aforementioned ICAO Annex 13. The State in which the incident occurred (Ukraine) has delegated the investigation to the Dutch Safety Board. The Dutch Safety Board is therefore in charge of the investigation and directs the international team of investigators. The investigation team is composed of specialists from Malaysia, Ukraine, the United States, the Russian Federation, the United Kingdom, Australia and the Netherlands. In addition to the international investigation into the cause of the crash, the Dutch Safety Board is also investigating the decision-making process pertaining to safety when determining flight routes, as well as the availability of passenger information. The Dutch Safety Board published a preliminary report containing its first findings regarding the crash of flight MH17 on Tuesday, 9 September 2014. The preliminary report contains the initial data from the investigation into the cause of the crash based on the sources that were available to the Dutch Safety Board. The draft final reports on the investigation into the crash and the investigation pertaining to flight routes were made available to the accredited representatives of the participating States on Tuesday, 2 June. In accordance with ICAO Annex 13, they have sixty days to submit comments on the reports. The Dutch Safety Board will then assess the submitted comments and draw up the definitive final reports. The consultation period the investigation into the availability of passenger information has ended. The Board expects to publish the final reports in the first half of October 2015.